Gray Button-Accent Layered Dress Only $34.99! You are here: Home / Great Deals / Gray Button-Accent Layered Dress Only $34.99! This dress has such a nice, cool, breezy look to it. Just what you want to wear in summer! 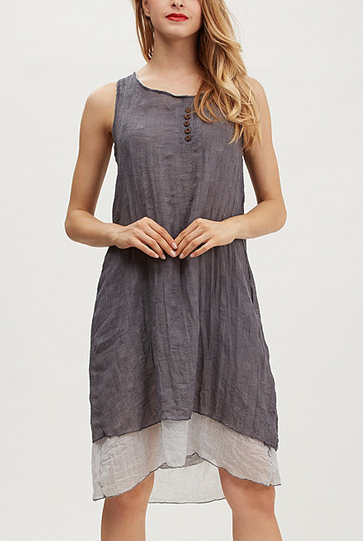 Get the Gray Button-Accent Layered Dress for Only $34.99! Available in sizes S to XL, pair with some sandals and dangly earring for a cool summer look!